So here's the Early Fifth Column. You've already met the Middle Fifth Column. The most late Fifth Column tape that I have is the 48th release (the "Ants Walk On The Door" compilation tape and that was released in 1990). 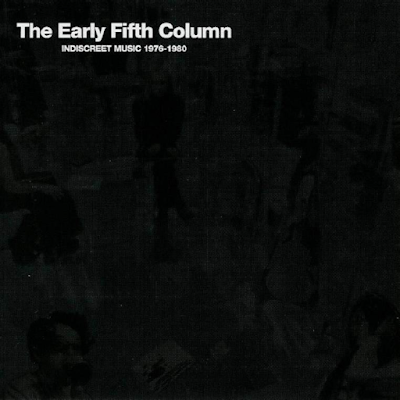 The late fifth Column? Post 1990? I always assumed that there was no such thing. I could never really find any information about the Columnists and haven't been able to find anything on the Alchemy list to confirm the existence of a late period. It turns out that there were plans to release it but that never happened. I only know that because some gorgeous human has uploaded the translated liner notes for a three disc box-set (with a DVD as well for christ's sake) that was released on Youth Inc. in 2013. Apparently, it's called "The Fifth Column 1976 〜 2010 Sound and Images". Youth Inc. is a truly truly great label but it only has a Japanese option as far as I can tell which means that I can't really navigate it and the treasures pass me by. Maybe you will have better luck. Anyway. This was originally released on Alchemy Records in 2001 and you can find the artists involved here on the aforementioned liner notes. The hidden world of The Fifth Column is a profoundly beautiful place to live ... and Donkey Stomp on rotation provides my internal monologue. Welcome to The Fifth Column. Long live The Fifth Column.